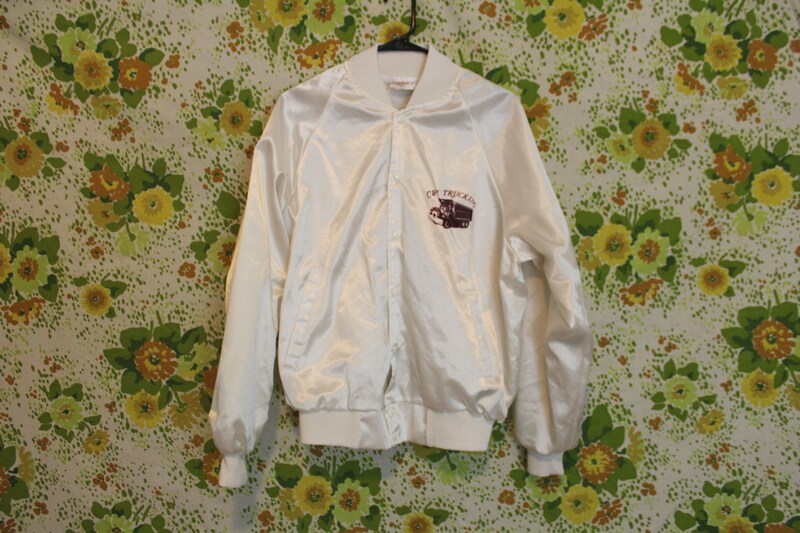 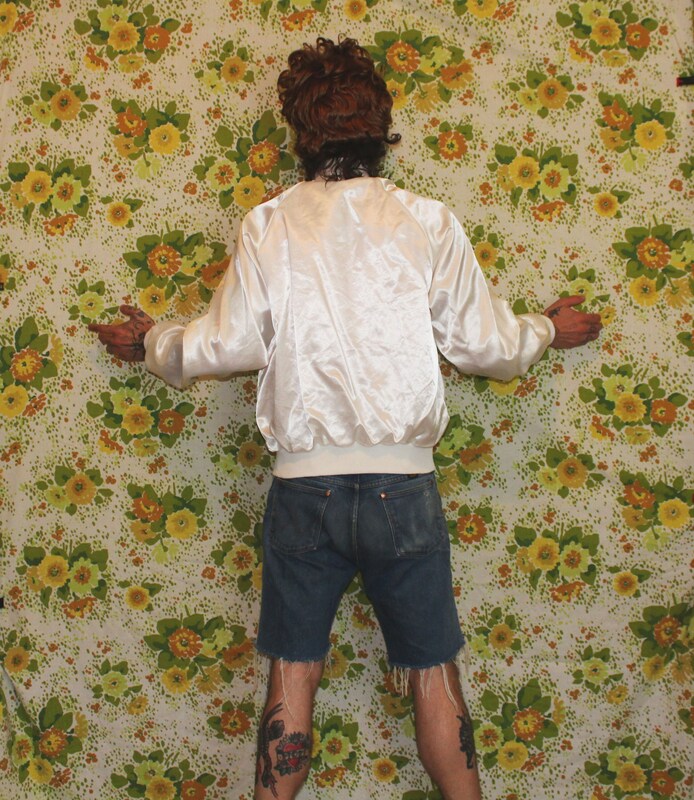 Vintage White Shiny Bomber Jacket. 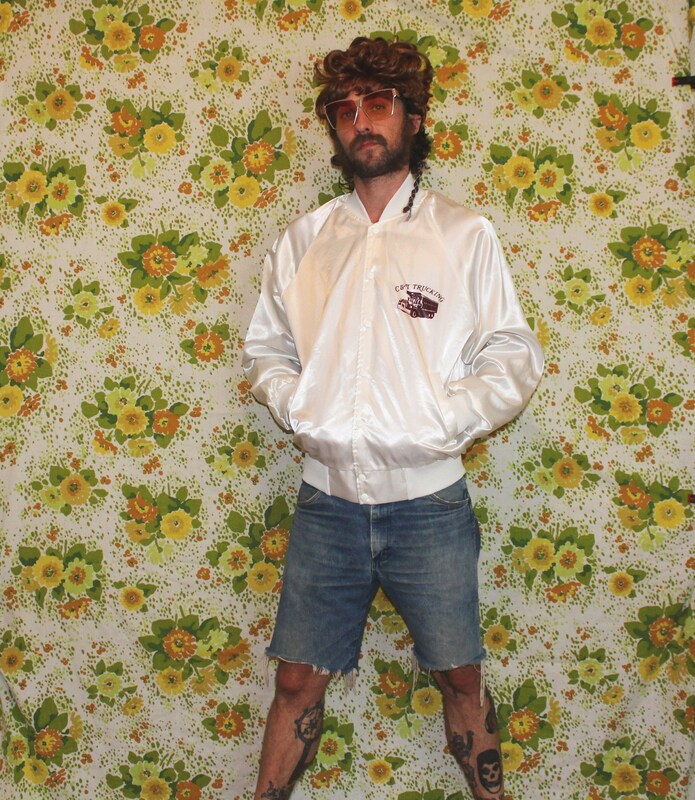 Retro 80s White Bomber Jacket. 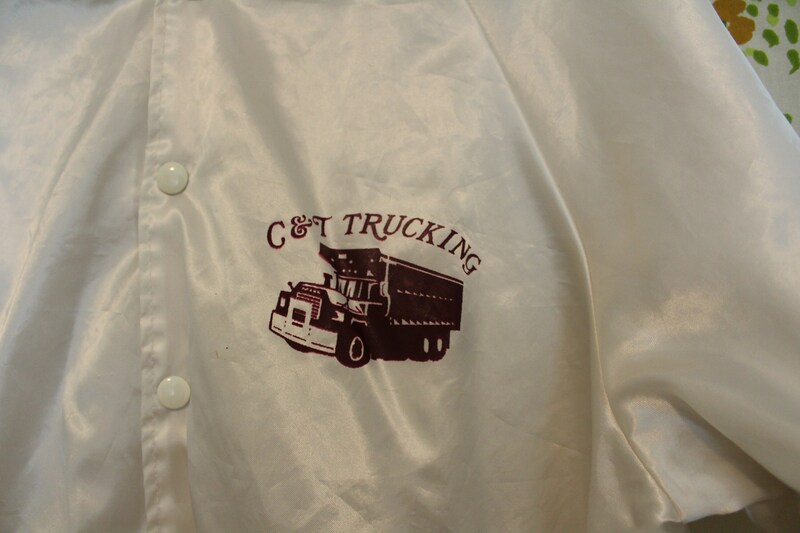 Silky 80s Snap Button Trucking Company Bomber. 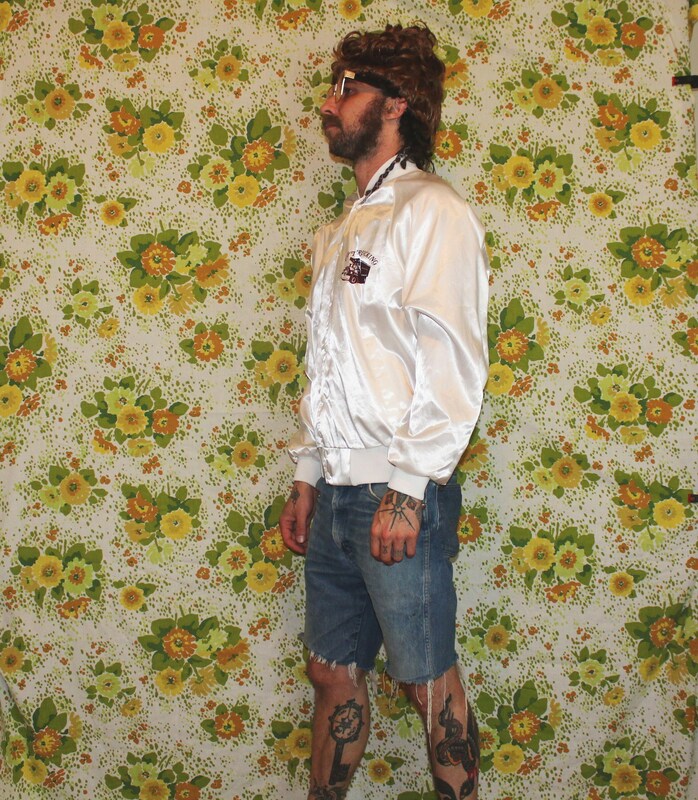 Retro Nylon 80s Bomber.